Build your child's home library with these timeless additions. 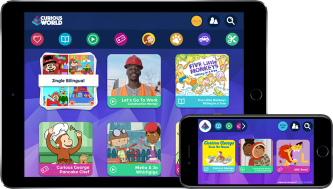 Most parents know that it’s important to read to our children daily, even before they can speak, but there are also early reading initiatives such as 1000 Books Before Kindergarten that stress the importance of volume and variety when it comes early literacy. In fact, a study from researchers at the University of Nevada, published in the journal Research in Social Stratification and Mobility, concluded that the number of books in a child’s home "has substantial effect on their future educational attainment." In other words, the more books in a child’s home library, the more likely that child will succeed in school. If you want to grow your child’s home library and you’re looking for a good place to start, you can’t go wrong with classic picture books. These are beloved books that have stood the test of time, including many award-winners. The stunning illustrations will engage even the littlest readers, while the timeless tales will enchant children for years to come. A short poem of goodnight wishes from a young rabbit preparing for—or attempting to postpone—his own slumber. He says goodnight to every object in sight and within earshot, including the "quiet old lady whispering hush." In this original book about the beloved monkey, Curious George is taken from the jungle by the man in the yellow hat to live in a new home, but--oh, what happened?! Though trying to be good, George is still very curious and takes a swim in the ocean, escapes from jail, and goes for a flying ride on a bunch of balloons. Winner of the 1964 Caldecott Medal for the Most Distinguished Picture Book of the Year, it became an iconic book that has inspired a movie, an opera, and the imagination of generations. It continues to be one of the best loved books of all time. Mike and his trusty steam shovel, Mary Anne, dig deep canals for boats to travel through, cut mountain passes for trains, and hollow out cellars for city skyscrapers. When Mary Anne is destined for the scrap heap, the duo must dig their way out of trouble in this timeless tale of friendship, old-fashioned hard work, and ingenuity. The endearing story of a teddy bear locked in a department store alone overnight, waiting on a store shelf for a child’s friendship, has appealed to young readers generation after generation. The unpredictable events of a particular Tuesday unroll before the reader with the precision and clarity of a silent movie. 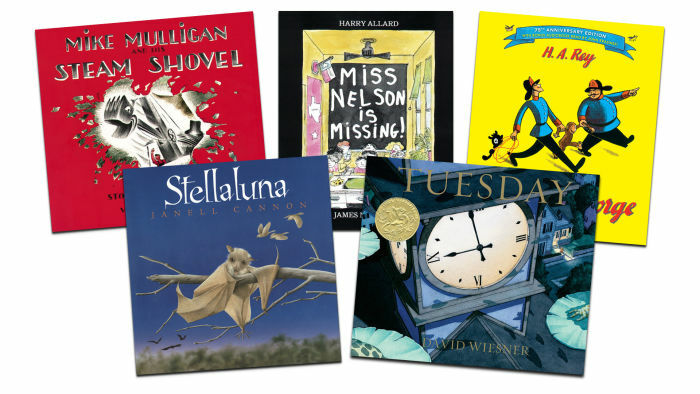 A Caldecott classic celebrating twenty years in print. A tree starts out as a leafy playground, shade provider, and apple bearer for a rambunctious little boy. Making the boy happy makes the tree happy, but with time it becomes more challenging for the generous tree to meet his needs. The kids in Room 207 take advantage of their teacher's good nature until she disappears and they are faced with a substitute. First published in 1977 and still relevant today as a lighthearted reminder to show our appreciation to those we value. Share with us on Facebook your family’s favorite picture book classics!